Canada is notorious for its weather. Google Canada or Canadians plus "weather" and you'll get memes of Canadians doing crazy things in the deepest snow you've ever seen or doing something ridiculous involving ice. So it's no wonder everyone thinks Canada is freezing all the time. And it's no wonder one of the most popular questions Immigroup receives about Canada concerns our weather. Every prospective immigrant and many other people dreaming of Canada all want to know if they are going to freeze their asses off when they come here. 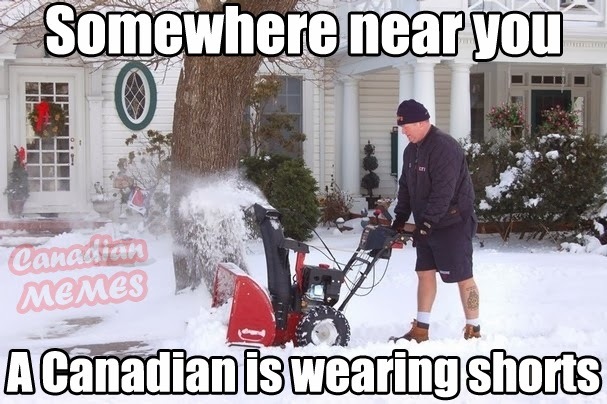 So we thought it was about time we made a guide to living in Canada based on the weather. The good news is that the vast majority of people in Canada do not live in the really cold parts! Yes, most of Canada's biggest cities experience rather extreme winters, but the memes misrepresent this. Most of the time, we are not drowning in snow and ice. Most major cities experience 3-4 months of actual winter, from sometime in November or December to sometime in March or April (depending upon latitude and other factors). But most of Canada is pretty inhospitable. So where do you want to live? The good news is that nobody lives here! You don't have to either! None. Iqaluit, the largest city in Nunavut, has a population of about 7,000 people. Why would you ever want to move to the Arctic? many employers offer isolation pay and other benefits, which can drastically improve your standard of living - in 2009 the Northwest territories had the highest per capita GDP in the entire country. The Taiga is a boreal forest that stretches across the entire northern hemisphere. As you can see by the picture above, the taiga forest makes up most of Canada - 60% of our land area. It runs from the treeline that marks the beginning of the arctic down to Cordillera in the west, the Prairies in the middle, and the southeastern and maritime climates in the east. The Boreal zone (see below) makes up the southern part of the Taiga. The Taiga usually has a "continental climate," which means winters below -3C and at least four months warmer than 10C. However, these averages are misleading and the winters are usually much colder and the summers much hotter. Cities located in the Taiga usually get only a limited amount of rain in the summer and snow in the winter, but the brief storms can be very extreme. Edmonton, Alberta 5th 2nd in Alberta (Capital) Taiga? Saguenay, Quebec 29th 7th in Quebec Taiga? Grand Prairie, Alberta 52nd 7th in Alberta Taiga? Spruce Grove, Alberta (suburd of Edmonton) 75th 9th in Alberta Taiga? Prince Albert, Saskatchewan 78th 3rd in Saskatchewan Taiga? Lloydminster, on Alberta/Saskatchewan border 84th 12th in Alberta/10th in Saskatchewan Taiga? Leduc, Alberta (suburb of Edmonton) 90th 10th in Alberta Taiga? Timmins, Ontario 91st 34th in Ontario Taiga? Why settle in the Taiga? The Taiga combines the best of Canada: wide open spaces with all the conveniences of modern life. But it's empty and the winters are cold. The boreal region is actually a sub-region of the Taiga and the division between the two climate zones is hotly debated. Some people would say the Taiga and the boreal are merely two names for the same region. Others suggest they are distinct regions. Most seem to agree that the Boreal makes up part of the southern Taiga. The Boreal is where most of the famous "Canadian Shield" is located. often rainier than the rest of the Taiga, especially the further east you go. See the left-most column in the table of Taiga cities above to see our best guess as to whether a city is actually in the Boreal region or the Taiga. 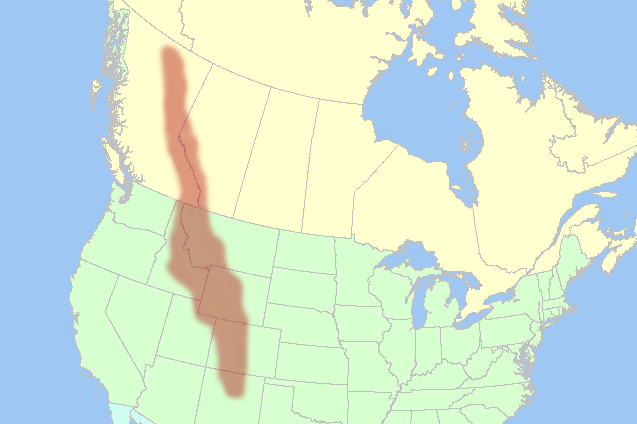 The Cordilleran is a climate zone (really a series of climate zones) that runs down the west coast of North America from Alaska to Mexico, around the North American Cordillera, which includes the Rocky Mountains and some other, smaller ranges. As you can imagine, the further south you go, the warmer it gets. However, as with any mountain range, the higher up the mountains you are, the colder it will be, even in the summer. places on west-facing slopes get lots of rain whereas places on the east-facing slopes and on plateaus are usually dry, with very little rain or snow. This means that temperature and precipitation can vary drastically over very short distances. You could really say that there are numerous micro-climates throughout the mountains, depending upon how far north you are, whether you are in the coastal mountains or the interior mountains, and whether you are on one side of the nearest mountains or the other. The weather in Kelowna, the biggest Canadian city in the region, only gives you an idea of what the weather is like in the Okanagan, a river valley in between the two ranges, and Canada's best wine region. That's a lot colder despite being the same "climate region." As you can see, despite being classified as the same type of climate, the weather varies considerably from place to place. The Cordillera is probably the most beautiful part of Canada, featuring both the famous Rocky Mountains and the less famous but just as spectacular Coastal Mountains (and numerous smaller mountain ranges). Because of the terrain, the region is a huge adventure sports region, featuring skiing in the winter and mountain biking in the summer, among many other sports. The Okanagan, Canada's famous semi-desert wine region, is also located in the Cordillera. At the bottom of the Okanagan it basically is a desert. In southern British Colombia the weather is considerably milder than in the north of the province (or in Yukon) and the summers are lovely and warm (though forest fires are a real problem). Perhaps almost as famous as the Rockies, Canada's Prairies are the top of the "Great Plains," a mostly flat expanse of land that stretches from northern Mexico to Alberta, running parallel to the Rockies, and from Montana in the west to Iowa and Missouri in the east. In Canada, they're not quite as wide, stretching from Alberta to Manitoba.) It's not all flat by any means - there are hills and there are numerous river valleys and "pot holes" - but it is more uniformly flat than most of the rest of North America. The Great Plains has been a great agricultural and ranching region for much of the history of both Canada and the United States. The Prairies are famous for their hail storms and flash floods. Though the Prairies are often mocked by other Canadians for being so flat, they are not flat and actually feature some of the nicest scenery in Canada (though you have to look for it), including badlands and thousands of lakes and rivers. Does Canada Even Want Immigrants? Though it has stagnated in recent years, for much of the 21st century the Prairie Provinces boasted the strongest economy in Canada, so the area has exploded in terms of both population and services. Though full of the wide open spaces Canada and this region are famous for, Calgary, Winnipeg, Saskatoon and Regina are major cities and Calgary in particular boasts nearly everything you would want in a modern city, while being not as crowded as Canada's very largest cities. The economic boom also resulted in increased diversity in the major urban areas, meaning that a new immigrant is far more likely to find a pre-established community from their home country in one of the major Prairie cities than in the past. Then there is the weather: though the storms are rough and the temperature extremes are legendary, if you prefer a place with less humidity this is absolutely the part of the country you want to live in. The southernmost area of Canada features the country's warmest summers but still experiences some degree of the legendary Canadian winters (particularly in Quebec). The relatively mild climate and arable land make this region the most populous in the country by far: this region contains over 50% of the entire population of Canada on slightly more than 2% of the country's land. Yes, Canada is large and so this part of Canada is still not as crowded as many other areas with 18 million people, but it's still far and away the most crowded part of the country and the one least like the postcards. Everyone moves to this part of the country: between 50-60% of new immigrants settle in this region most years. So it is crowded (for Canada). Though only 500km east-northeast of Toronto, Montreal is much colder in the winter and basically twice as snowy as Toronto. So, even in this small climate region, where you live makes a big difference in terms of the weather. So, most of Canada's largest cities are in this one climate region. The Greater Toronto-Hamilton area is one of the 10 largest urban areas in all of North America, its ranking dependant upon where you draw the boundaries. (Toronto is the 7th largest metropolitan area and the 9th largest urban agglomeration but the former definition does not include its furthest suburbs.) The table below is a conservative definition of the boundaries of the GTA. Many of the cities in the third table below would be considered by some to be within the GTA. Canada's second largest city is one of the 20 largest urban areas in North America. Finally, the rest of the major cities in the Quebec-Windsor corridor. The provincial rankings refer to only the official city, not its urban area. It's a long list. Skip it. In addition to all of these urban areas, this region of Canada includes many other communities which are just a little bit smaller than the cut off for the largest urban area list (24,000 inhabitants at the time of the last census, in 2016). So even if you do not choose to move to one of these communities, there are many, many other communities of size to choose from, most of which are not that far in driving distance from one of the major cities listed above. Historically, this has been where the jobs are in Canada for most of the last hundred years. Nearly every industry that exists in Canada is represented, to some degree or other, in the Great Lakes climate zone (even hunting). Just don't come here to join the fishing industry. However, due to this area's popularity there is also a lot of competition, more so than anywhere else in Canada. With the hottest summers in Canada, this area is one of the most pleasant, at least during the summer time. It's not the mildest climate - relative extremes are common, including extreme heat in summer and extreme cold in winter - but it is likely closer to what you're used to than most of the above regions. 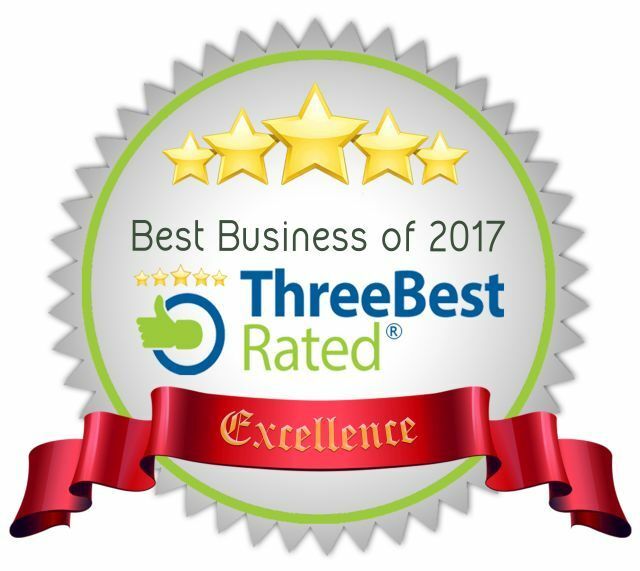 There are more services here than anywhere else. Because Toronto is the largest city in the country, it has things that those other large cities in Canada do not (professional sports teams, world class cultural activities, the country's greatest food scene). Though the hottest summers are here, this is not the mildest region in Canada. If you prefer your climate mild, you want to live on the west coast. Because this is the most developed area in Canada, it has the most competition for jobs and the most urban sprawl; that means commutes among the worst in North America and there's a high cost of living if you try to avoid those commutes by living near where you work. Also, if you live in Ontario, it's going to cost you a lot more than if you live in Quebec. Just FYI. Canada's Maritime provinces are known for their culture and their milder climate. Unfortunately they're also famous for their storms and their fog and general unpredictability of the weather. The Maritimes are the Atlantic provinces of New Brunswick, Nova Scotia and Prince Edward Island (and often the island of Newfoundland). They contain some of the oldest European settlements in Canada; they're where the Vikings landed and where the Basques fished before the French came to Canada. As a result, they have a rich culture distinct from the rest of Canada. However, due to the collapse of the Atlantic fishing industry and other industries during the 20th century, the Maritimes are also the poorest of the climate zones, for the most part. Note that the weather is considerably more extreme in Newfoundland than it is in the rest of the Maritimes. Outside of Quebec City, the Maritimes has the oldest permanent European culture in Canada and is known for its traditions and friendliness. The weather in the Maritimes is milder than all other parts of Canada save the West Coast (see below) but infamously features extreme weather, especially in the winter when massive storms shut down entire cities for days. The Maritimes is the most affordable climate zone in Canada, with certain costs of living (such as housing) often way, way lower than the rest of the country. Salaries, however, are often correspondingly lower as well. It is easier to move to the Maritimes from another part of Canada than it is to move from the Maritimes to another part of Canada. 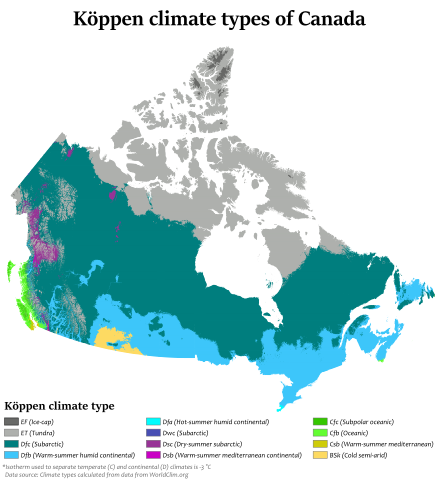 If you're immigrating to Canada but worried about the weather there is one place where you can avoid Canada's legendary winters: the southern part of Canada's West Coast, which includes the Lower Mainland and Vancouver Island, is Canada's most mild climate - so mild there's an actual rain forest - almost like it's in another country. What's the catch? You have to be okay with rain. 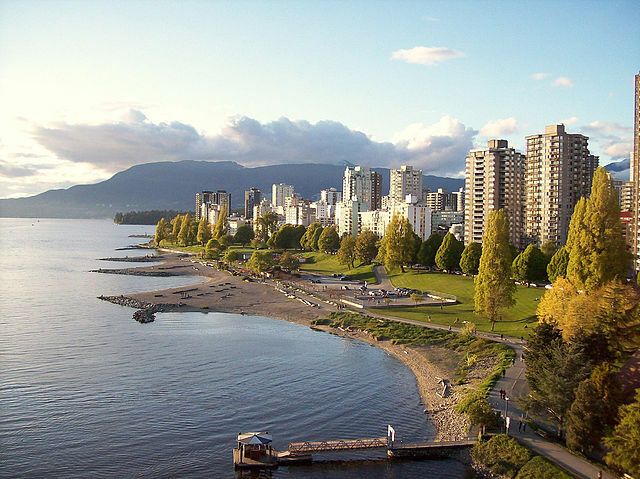 The Lower Mainland, the name for a 36,000 square kilometre tract of flat land where the Fraser River meets the Pacific Ocean, has the mildest weather on the Canadian mainland due to Pacific Ocean currents and the mountain ranges behind it, and thus contains 60% of British Columbia's population. Across the Georgia Strait is Vancouver Island (and many smaller islands), which experiences the mildest climate in the entire country (at sea level, not in the mountains) but is considerably more remote than the Lower Mainland, with expensive ferries and helijets being the only way to get back to the rest of the country. This part of Canada is, in many ways, a paradise, allowing those who live in the region to get the best of both worlds: to enjoy the mildest weather in the country - and all that entails, including numerous beaches - but have easy access to winter sports, with the country's most famous ski resort only a few hours away. Basically, you can enjoy the Canadian winter when you want to but live without it the rest of the year. It's not surprise that it has become one of the most popular destinations for new Canadians in recent decades. the further inland you are up the Fraser River, the more likely you will get snow. The remaining major cities are all nearby, as this is a small climate region. As with the other tables, the ranking in the province is for the city, not the urban area around the city. The most obvious reason to settle here is the weather: with no true Canadian winter (one serious snow storm every few years) and few massive temperature swings, this area is one of those parts of the world where the seasons lose their meaning a little bit. The area is one of the recreation capitals of Canada, featuring a more diverse array of recreation options during the winter than anywhere else in the country, and still plenty to do in the summer (when it's not as hot as most of the rest of Canada). Due to the area's location, there are also unique job opportunities that are not available in the Prairies or in the Maritimes. It's not all perfect. It rains all the time, and when it does snow the teeniest bit of snow paralyzes most communities as they are not prepared. So, now you know where to live and where to avoid in Canada. If you're a skilled worker, you'll want to look into Express Entry to immigrate to Canada as quickly as possible. If you are not a skilled worker, you'll have to get a job offer before moving here. If you're thinking of studying in Canada, you'll need a study permit. Not sure which option is for you?